Every day is filled with limitless possibility. That sounds like a platitude, doesn’t it? But the reality is that we actively discount almost every opportunity for life-changing experiences and interactions we encounter. We don’t take the time to have a conversation with a stranger in an elevator, to take a quick trip down an unexplored side road on our way to work, or even smile at someone across the room that we’re inexplicably attracted to. We don’t apply for new jobs when our current one seems like a drag, or even bother looking for one. We don’t take a moment to express a long-unexpressed gratitude to a loved one or family member because we’re afraid of being embarrassed. Literally every day of our lives can be filled with magical moments, from tiny ones to life-changing ones. But we have to be open to it, and that means actively seeking new experiences and interactions. 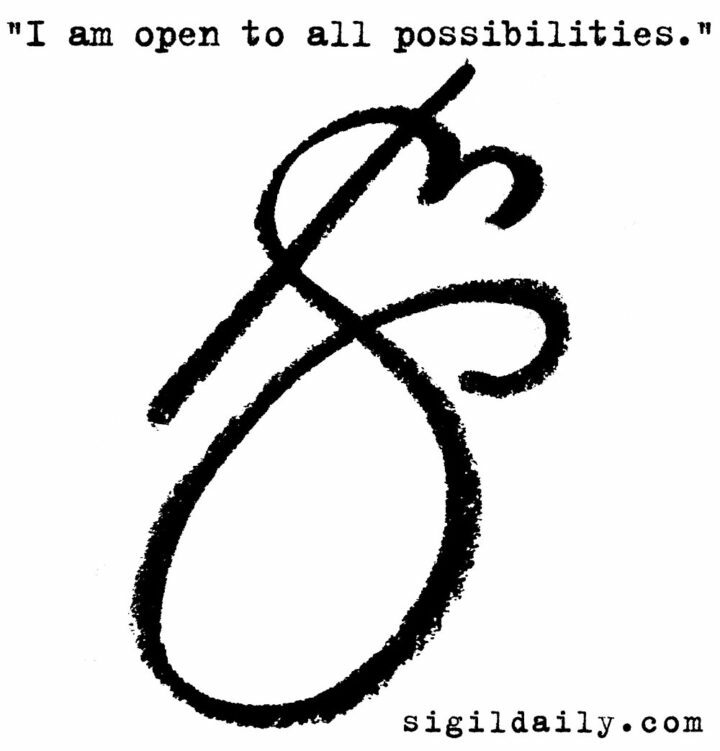 This sigil simply reminds us to be open to the possibilities of every day life.